Smart buys that are actually worth it. 1. A makeup-removing cloth that literally erases every speck of product you're wearing in a few quick swipes — including waterproof mascara — using just water. It feels so nice and is so easy you'll actually WANT to use it, even when you get home at 3 a.m. from a glorious night out with your friends. This is something you buy once that will both save your skin *and* save you money in the long run: it works just like wipes, but you don't have to continuously re-buy them! To clean it, you just toss it in the washing machine (and it's big enough you can get multiple uses out of it before you have to wash it). Get one on Amazon in pink, white, or black for $20. 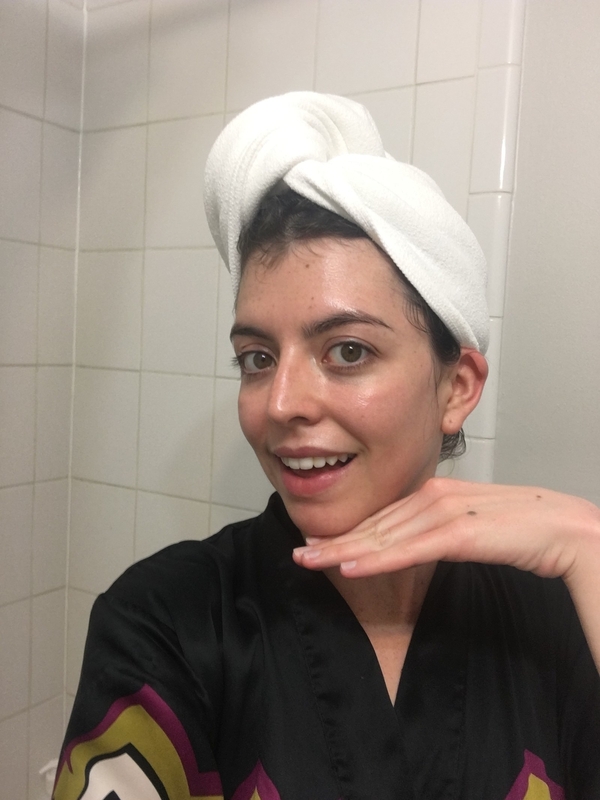 It's also one of the BuzzFeed Reviews picks for best makeup remover — and Jenn, a writer here, owns it, swears by it, and reviewed it — because it actually does what it says it does. 2. A pair of noise cancelling headphones to block out the chatter in your open office so you can actually focus at work. These Ankers are one of our picks for best noise-cancelling headphones on BuzzFeed Reviews! They block out 96% of high-frequency sounds (like voices) and 93% of low-frequency noise (like an AC running), plus have memory foam ear cups to make them super comfortable. Get the Ankers on Amazon for $99 (comes with a carrying case, AUX cable, and charging cable). 3. An Instant Pot if you often cook for your family (or just yourself!) on weeknights and don't have one already, because it can seriously transform frozen chicken breasts into unbelievably delicious tacos in about half an hour. Of course you can make SO MUCH MORE than chicken in it: soups and stews shine, and so do classic Indian dishes. You can also find cookbooks especially tailored to Instant Pot cooking for two. BTW, it 100% doubles as a slow cooker so you don't have to stop making all your favorite set-and-forget recipes. Get the medium-sized six quart on Amazon for $98 (also available in a three-quart mini and eight-quart large). Still mulling it over? Read one BuzzFeed editor's in-depth review, some Instant Pot tips and tricks, and more Instant Pot recipe inspiration. 4. A pair of incredibly comfortable flats cute enough to style with dozens of outfits and durable enough to last for more than just a few months (even if you wear 'em basically every day). Oh, and they're 100% machine washable when they get smelly. They come in four main styles: flats, pointed-toe flats, loafers, and sneakers; and each of those has over a dozen colors and patterns available at any given time. If you love accessorizing with your star sign, they also have an entire zodiac collection for $165 per pair. 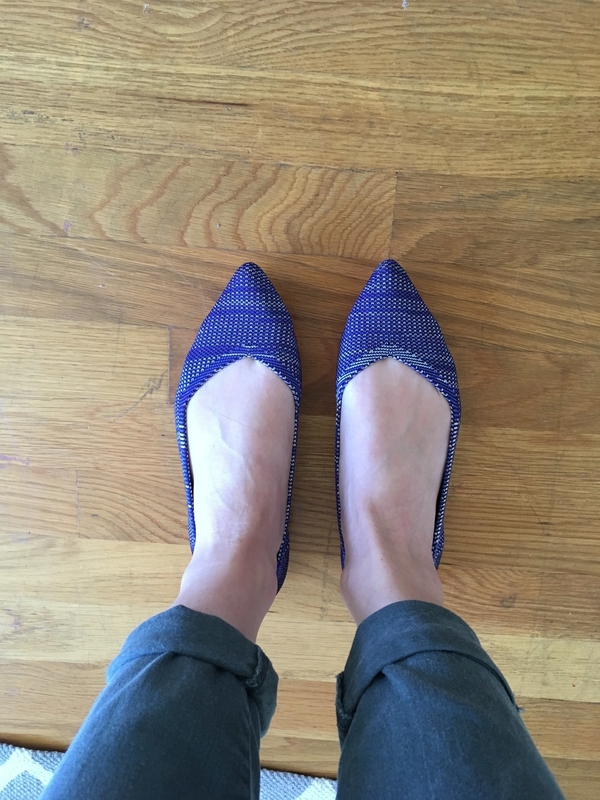 Their starter options, like the flats I own and love, are a little less of a splurge: get a pair from Rothy's for $125+ (flats, pointed-toe flats, loafers, and sneakers available). Still want to know more? Read my full Rothy's flats review. 5. An excellent chef's knife if you do any kind of chopping, slicing, and dicing when you cook dinner — it'll speed up your prep work and lower your risk of injury, especially compared to that super cheap (and dull) knife you had in your dorm room. Promising review: "If you cook at all you know that using comfortable and sharp knife makes all the difference in the world. I find myself not having to sharpen this knife as often as I sharpen my far more expensive knives. The handle fits perfectly in my hand, making it more comfortable when cutting, slicing, chopping or whatever. It has quickly become my most favorite knife to use in spite of my owning more expensive ones. I look forward to the many meals I'll be using this knife to make!" —Olga S.
Get it on Amazon for $44.93. This is another BuzzFeed Reviews pick, for best chef's knife! 6. An Aerogarden because keeping up with a traditional herb garden's hard when you have so much else going on, but this makes it easy to enjoy fresh basil, thyme, mint, and more in both your cooking and your lazy at-home cocktails. My go-to for the past couple of years has been cheap lemonade and Botanist gin, and there's nothing like some muddled basil or a sprig of thyme to make that feel extra fancy on the cheap. An Aerogarden's foolproof even if you don't have much of a green thumb: the grow lights keep your plant babies rain or shine, and it reminds you whenever you need to add more water and plant food. Get it from BuzzFeed's Goodful line, exclusively at Macy's for $189.99 (or currently for 40% off using the code HOME at checkout, which brings it to about $114, with free shipping for any order over $75). 7. A high-sided sauté pan that does everything a skillet can plus some. I have a similar pan (and lid) that I pull out more often than any other pot or pan I own. It's useful for easy one-pan dinners, quickly heating up those frozen dumplings I like on busy weeknights, making quick pasta sauces, and so many other things. Get it on Amazon for $43.60. 8. 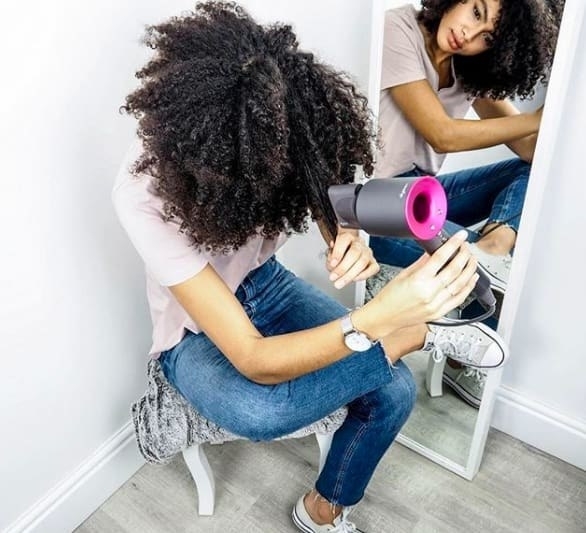 The ultralight and ergonomic Dyson Supersonic *if* you blow-dry your hair weekly or even daily, so you can prevent the damage that regular dryers inevitably wreak on your strands when you use them year after year. You'll be grateful you splurged now when you reach your 30s! It measures the air temp continuously as you use it, to make sure it never exposes your hair to more heat than it needs to optimally dry. This temp control means you hair finishes drying in a fraction of the time it takes traditional blow dryers — testers here at BuzzFeed across all kinds hair types reported average dry times of five to ten minutes. FIVE. TO. TEN. MINUTES. Naturally, it's a BuzzFeed Reviews pick for best hair dryer! And you can read more about the damage it'll save your hair in Elena's Dyson Supersonic review. 9. 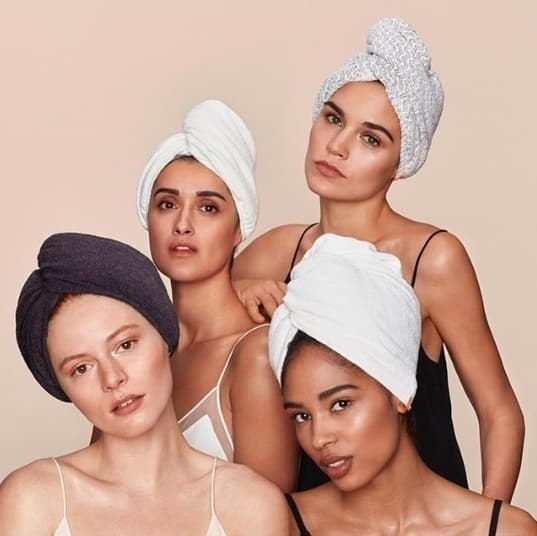 And a microfiber hair towel — it soaks up more water than you regular terrycloth towel, meaning your hair always dries quickly, whether you air-dry or blow-dry. Get one on Amazon: the original for $20.99 (7 colors), one with a button at the back to make it extra secure for $20.99+ (8 colors), and one made especially for long hair for $24.99 (3 colors). 10. A bra (or two!) that you're comfortable wearing, truly fits you, and makes you happy to put on every morning as you choose your #OOTD. Get the lifting scoopneck full-cup bra (no underwire!) from True & Co. for $58 (seven colors). Get the full-cup balcony bra from True & Co. for $64. 11. A pair of perfectly clear blue light–blocking glasses ideal if you happen to work at a computer all day long — they could help reduce eye strain and maybe even help you get better sleep. Get a pair on Amazon for $39.95. 12. A pair of Hunter rain boots so you never have to deal with that gross feeling of jeans that are wet from the calf down ever again. And the even WORSE feeling of soaked sneakers and socks. Get them on Amazon for $92.99+ or from Urban Outfitters for $150. 13. And an umbrella to end your search for the best umbrella forever: it's teflon-coated, fortified against rogue wind gusts so it almost never turns inside-out, automatically opens and closes at the touch of a button, weighs less than a pound, and has a lifetime. replacement. guarantee. Promising review: "This umbrella is awesome! During a winter storm in California it was put through the ringer: from hard downpour and winds to snow/sleet wind mix for days. If it wasn't for my associate borrowing it and leaving it open, letting the winds take it tumbling about a half-mile before hitting a fence, bouncing off of metal and muddy objects along the way, it wouldn't have needed replacing. All of that and only one arm broke which left the umbrella still useable. Just not 100%. All I did was let them know it broke and I couldn't provide anything short of my original order number as I had discarded the old umbrella. They simply said they apologize and are sending a new one free of charge. Excellent product and customer service!" —Andrew W.
14. An ergonomic office chair because if you sit for at least eight hours a day, you might as well make it as good-for-you and comfortable as possible. Get it on Amazon for $102.19. 15. A lightweight, non-greasy sunscreen you won't mind applying every single morning. Y'all, wearing sunscreen every day (even when it rains!) is the Number One Way to prevent/delay wrinkles, dark spots, and so many other signs of aging. And the sooner you start, the better prevention you get. (FYI, it doesn't matter which sunscreen you use, as long as it's labeled "broad spectrum", is at least SPF 30, and you like it enough to actually wear it.) This particular product's a bit pricier than your typical drugstore brand, but reviewers say it's great for sensitive and acne-prone skin. Promising review: "I found this gem on the Environmental Working Group website. Do you know how hard it is to find a skin product that is safe from dangerous chemicals, gentle on sensitive skin, and that despite all this, still works effectively? It's even harder to find a higher SPF sunblock that meets these criteria. Well, Elta MD has not only delivered on these promises, they offer all this in a formula that looks so natural that it doesn't leave you looking like a ghost or mime. It also applies smoothly to work well under makeup. On top of this, it does not clog my acne-prone pores or dry out my face. This is my sun protection product for life." —Liz T.
16. A blender set that also doubles as a food processor so you can make nutritious breakfast smoothies, legendary daiquiris, delicious salsa and hummus, quick-chopped onions for your favorite recipe, and so much more. PLUS it comes with an extra smoothie cup you can stick directly on the blender, then grab to take in the car on the way to work. This does the job of three different appliances but takes up a fraction of the cabinet space! And naturally most parts are dishwasher-safe. Get it on Amazon for $71.09. 17. A sleek electric toothbrush because healthy gums and teeth start with good habits, and this just might make you look forward to cleaning your teeth every night. Besides being simply beautiful, when you buy one, the company delivers new brush heads and batteries (and depending on the plan you sign up for, new toothpaste) every three months, making it easy to use a 100% effective toothbrush night after night. 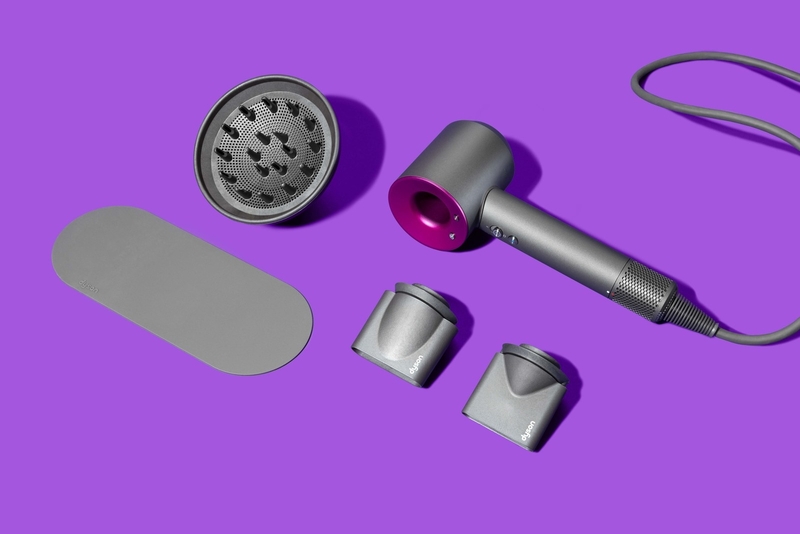 The brush itself is super quiet, powered by a single AA battery, and times you for a two-minute perfect brushing (pinging every 30 seconds to remind you to move to a new part of your mouth). Get one from Quip for $25+ (eight colors; multiple packages available depending on your budget and needs). Want to read more about it? One BuzzFeed editor, Rachel Wilkerson Miller, owns and loves it; read her full Quip toothbrush review. It's also the pick for best electric toothbrush on BuzzFeed Reviews. 18. A memory foam topper so you can finally get more restful sleep without completely replacing that new but only sorta comfy–mattress. Get it on Amazon for $38.95+ (available in sizes twin–California king). 19. A 100% silk pillowcase designed to help prevent hair breakage and be super gentle on your skin, night after night. Theoretically, silk is less absorbent than other kinds of fibers (like cotton), so this doesn't soak up any of your face and hair products the moment you lie down. It also supposedly doesn't tangle hair up and cause breakage the way cotton potentially can. Multiple reviewers say they don't wake up with sleep creases on their faces, either. Get it from Sephora (10 colors) or Nordstrom (9 colors) for $85. 20. And a Casper pillow, which is engineered to be comfortable no matter what position you end up sleeping in each night. Of course, there's no holy grail pillow that's perfect for everyone, but this one was built specifically to be comfortable whether you sleep on your back, side, stomach, or alternate between two or all three. If you're curious, you almost might as well— you get 100 days to try it out, with free returns if you don't like it. Get one from Casper for $75+ (available in standard and king). 21. A pair of staple jeans you'll wear for at least the next couple of years because they fit so well and are sooo comfortable. Get these curvy-fit high-rise skinny jeans on Free People for $78 (two colors, sizes 24-35). Also check out 29 Of The Best Places To Buy Jeans Online and 23 Pairs Of Jeans That'll Actually Last. 22. A rugged bluetooth speaker so you can listen to music and podcasts whether you're getting ready in the morning, doing chores, chilling by the pool (or lake or ocean), at a picnic, or pretty much anywhere where you wouldn't want to wear headphones. This little guy has a 30-foot wireless range, can easily connect into assistants like Siri or Google Now, and is (as you can tell) water-resistant. Get one on Amazon for $129 (four colors). 23. 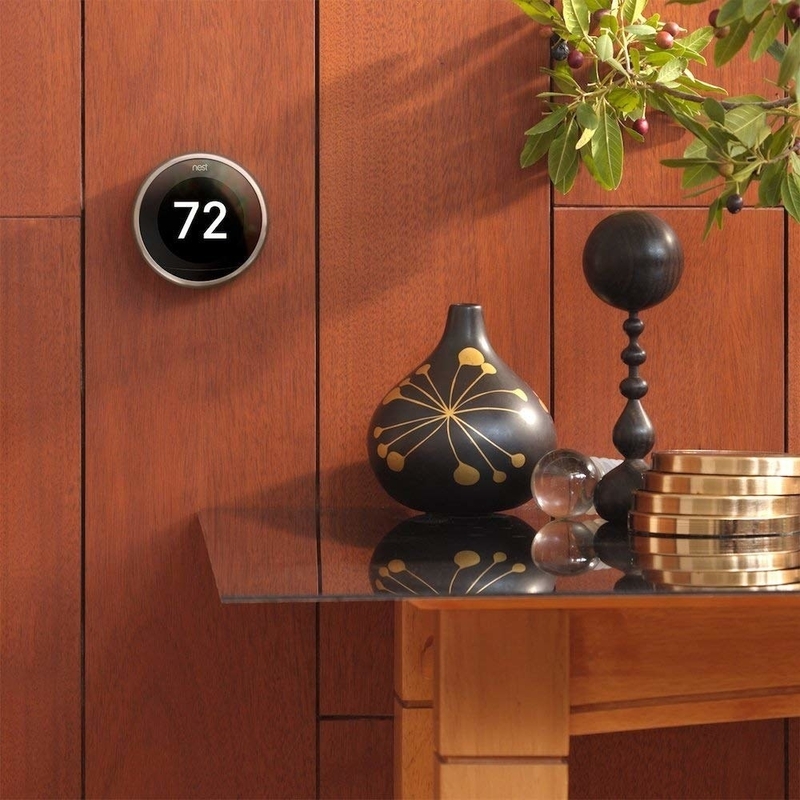 A Nest learning thermostat if you happen to own your home (lucky you) because it can cut down on both your overall energy use and your energy bills. 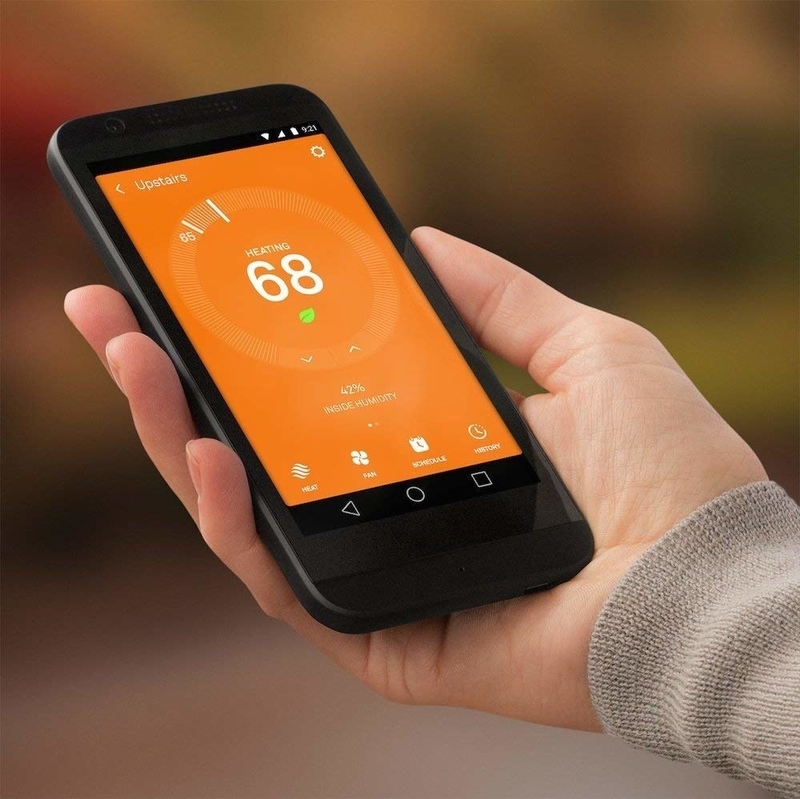 This gem learns the temperatures you like best, adjusts the temperature up or down (depending on the season) when you leave the house so you use less energy when you're not home, connects to your phone (and tablet and computer) so you can control the temperature from wherever you happen to be, and guides you toward the temperatures that will save you money. Oh, and it's the first thermostat to earn the EPA's Energy Star! Get it from Amazon for $215+ (four colors).